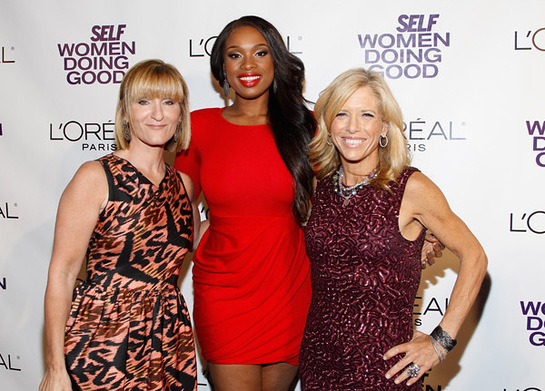 SELF Magazine celebrated their 4th annual Women Doing Good Awards this week at the IAC Building in NYC. The celebrity charity event included Jennifer Hudson, Christina Hendricks, Jerry and Jessica Seinfeld, Lisa Ling and three amazing hometown heroes that were all honored. Each year, SELF Magazine set out to find inspiring women who are making a difference in the world, whether it is globally, nationally or in their communities for the Women Doing Good Awards. Over the past four years, SELF has received thousands of nominations detailing stories of exceptional strength and determination as told by colleagues, family and friends. This year, SELF honors 7 extraordinary women who have dedicated their own lives to improving the lives of others—each showing you that a good idea, a resourceful woman and a dose of determination is all it takes to make extraordinary things happen. SELF Women Doing Good host, Hoda Kotb gave the audience some good news in her welcome speech. She got a call from the hospital while she was getting ready for the event and was told by her doctor that she is now 100% cancer free. She put on her favorite song, which she also did at the event- LMAFO’s Party Rock Anthem and did a little dance (that she did again on stage). Presented by L’Oréal Paris, SELF’s Editor-in-Chief Lucy Danziger and Vice President & Publisher Laura McEwen hosted an event in honor of these amazing women, highlighting their achievements and giving $10,000 to support their cause. Hoda Kotb from the Today Show was the special emcee and also honored for her charity outreach in the fight against breast cancer. Lindsay Avner founded Bright Pink, the only national non-profit that focuses on prevention and early detection of breast and ovarian cancer in high-risk young women. Gracie Cavnar founded Recipe for Success, the largest initiative of its kind in the country, that has taught more than 15,000 kids to grow, cook and eat healthy food through hands-on programs built into the curriculums of elementary schools. Brittany Bergquist founded Cell Phones for Soldiers, a program that collects old cell phones, sells them, and then buys prepaid international calling cards and distributes them to troops around the world. Jennifer Hudson founded the Julian D. King Foundation, which donates toys and school supplies to needy children in the Chicago neighborhood where she grew up. Jennifer is also creating a teen volunteer program so that kids can receive school credit for helping out with the Foundation. Christina Hendricks works directly with LATISSE Wishes Challenge to benefit the Make-A-Wish Foundation, helping to raise $1.5 million to help make dreams come true for kids with life-threatening illnesses. Jessica Seinfeld founded Baby Buggy, a nonprofit providing new and used essentials such as strollers and cribs, plus educational services for families. 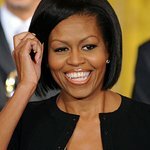 Lisa Ling created secretsocietyofwomen.com, a forum for women to anonymously air what’s on their minds, connect and heal.